Gay & Lesbian Friendly Turkey Package Tours from Istanbul. Our tour will start with a private transfer to airport from your hotel in Istanbul. Please note early morning departure. 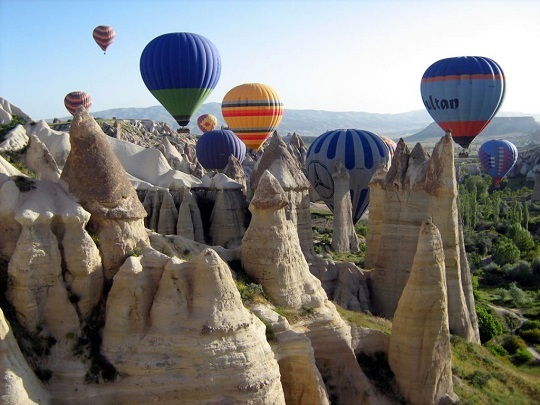 You will fly to Cappadocia with a morning flight, slightly longer then 1 hour. Upon arrival you will be picked up from airport to join the unforgettable tour of Northern Cappadocia tour. This tour will cover the most famous parts of the region such as Goreme Open Air Museum, Red valley, Urgup and Dervent Valley. There will be a lunch break in a lovely local restaurant, which is included in tour price. You will be transferred to your hotel at the end of the tour in early evening. 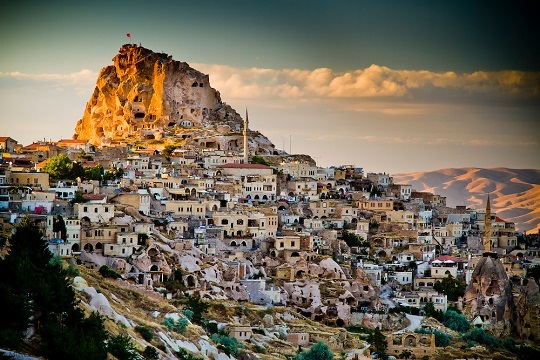 Hotel accommodation in Cappadocia is included in the price, naturally. Click here for the list of possible hotels we book for these package tours. After breakfast in your hotel (included) you will be picked up from your hotel at around 09:00 a.m to join Southern Cappadocia Tour. This tour will cover other wonders of the regions such as Mustafapasa, Uchisar, Esentepe Pigeon Valley and Kaymakli underground city. Lunch during the tour will be included. You will be transferred to airport at the end of the tour fly to Istanbul with an evening flight. The tour package will end upon your arrival to Ataturk Airport. PS: The order of Southern / Northern Cappadocia tours may be interchanged. Attention: The prices of the tours which involve transportations with planes are variable, depending on flight costs. Higher prices may apply based on flight costs on different dates / seasons. Early reservation is highly recommended to secure better prices. Tour itinerary can also be changed because of discordant flight schedules on the requested dates. We will do our best to keep the above itinerary and prices in most cases. One night accommodation boutique cave hotels. All connecting transfers in between the tour period as mentioned. Anything not mention in this itinerary clearly. Compulsory local (TURSAB) travel ageny insurance. Small surcharges may apply for credit card payments. We will request some 25-30% of the total service cost in advance to finalize reservation procedures. We will send you a very detailed information with payment options when we receive your request. Our Turkey tours don't include Istanbul. You will most probably need a hotel in Istanbul before and after this tour.